When I first started writing online and chose the blog name Embracing the Mosaic Life, it was during a period of time in my personal spiritual journey where I had the realization of how God truly works in the broken pieces of our lives to turn them into a thing of beauty through the process of His redemption. 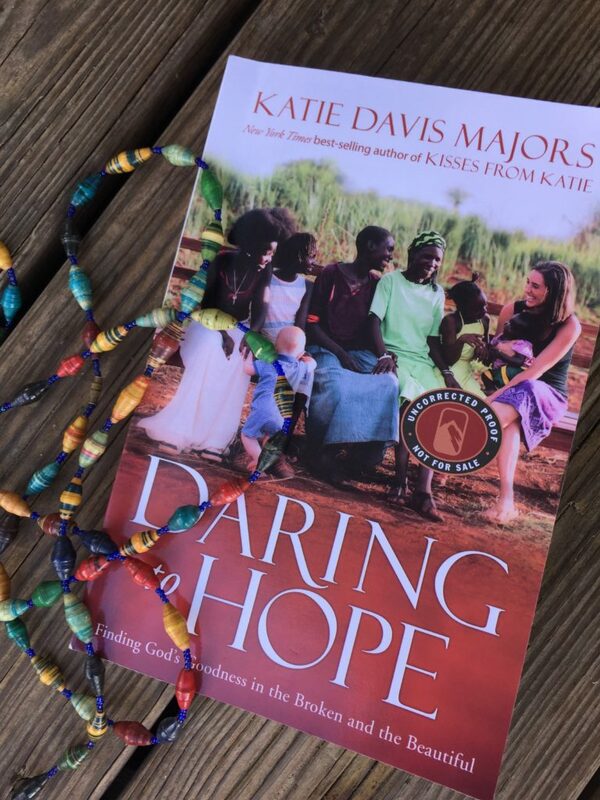 A few years prior to that, I’d read a book written by Katie Davis, an 18-year old who left her comfortable home and life in Nashville, TN to volunteer in a school in Uganda. 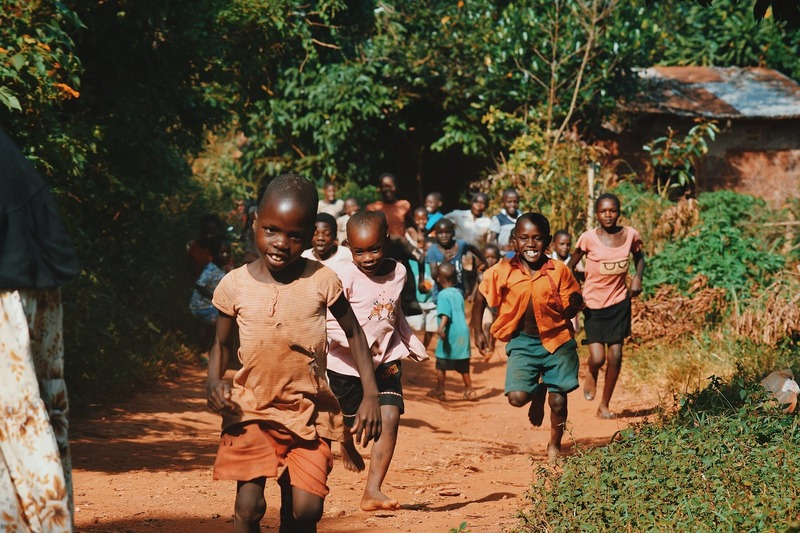 And in an unexpected turn of events, she returned to Uganda after that first year and became a single mother, fostering and later adopting 13 girls. It was a story that captivated my heart, as at the time, I was working through what it looked like to surrender my will and my plans to God’s will and His plans as well. Now, over 5 years later, Katie has walked out her faith and has experienced her own set of heartaches, some of which included watching a dear friend die and losing a child she loved as her own. 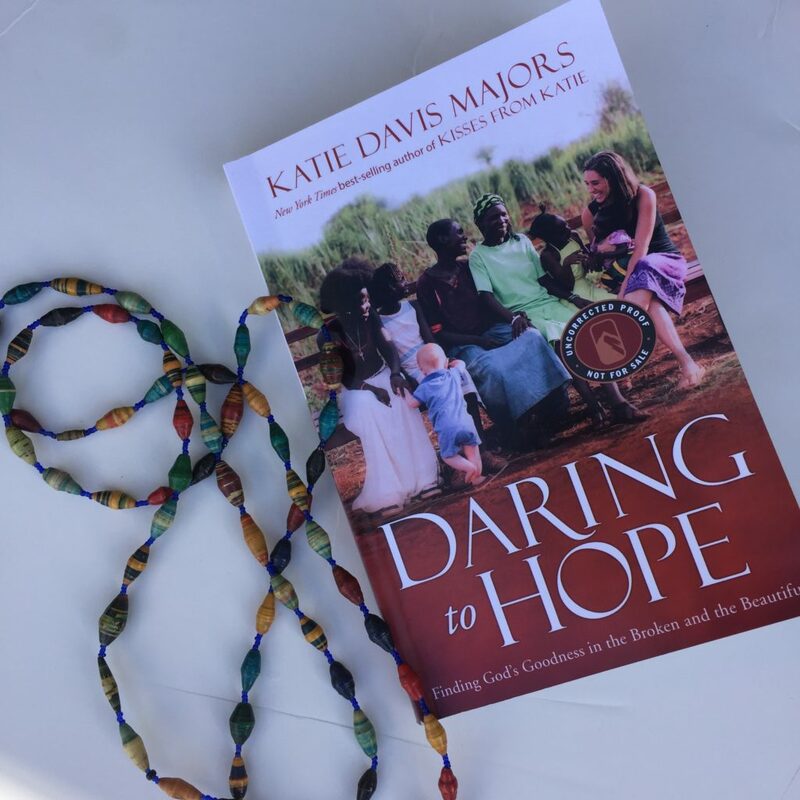 In her follow-up book, Daring to Hope: Finding God’s Goodness in the Broken and the Beautiful, Katie Davis Majors shares intimately what the process of God turning her own brokenness into beauty has looked like in her life the past few years. She openly shares her doubts and struggles, connecting with most anyone who seeks to authentically walk the Christian path. Part of her story includes her journey of founding Amazima Ministries, an organization that helps to educate and empower the people of Uganda with God’s love through relief work and community development. 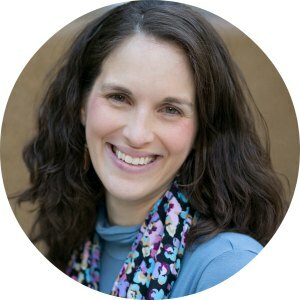 In her first book, Kisses from Katie: A Story of Relentless Love and Redemption, she shares incredible stories of God working in what seems like impossible situation after impossible situation. However, as we find through the pages of this latest book, she has uncovered a truth that speaks life into all of us as busy Christian moms and women seeking to make a difference in this world. While we may never move to a far away country to serve people in desperate situations, Katie’s revelation of uncovering the truth that is our heart’s deep need to glorify God in every situation strikes a chord in all of our hearts. To dwell in the place I have been given. Yes, this is what we all need to remember. It doesn’t have to be as complicated as we make it. Katie’s poignant memoir is an authentic telling of one faithful woman’s decision to pursue God in the everyday moments — the small, seemingly insignificant ones, the challenging and heartbreaking ones, and the thrilling, joy-filled ones. I’d encourage you to pick up a copy on Amazon or enter the giveaway below. Giveaway ends November 11th and the winner will receive email notification. Good to see you back here in your writing home. I loved Katie’s first book and have no doubt I’ll love her second one. Thanks for the giveaway.